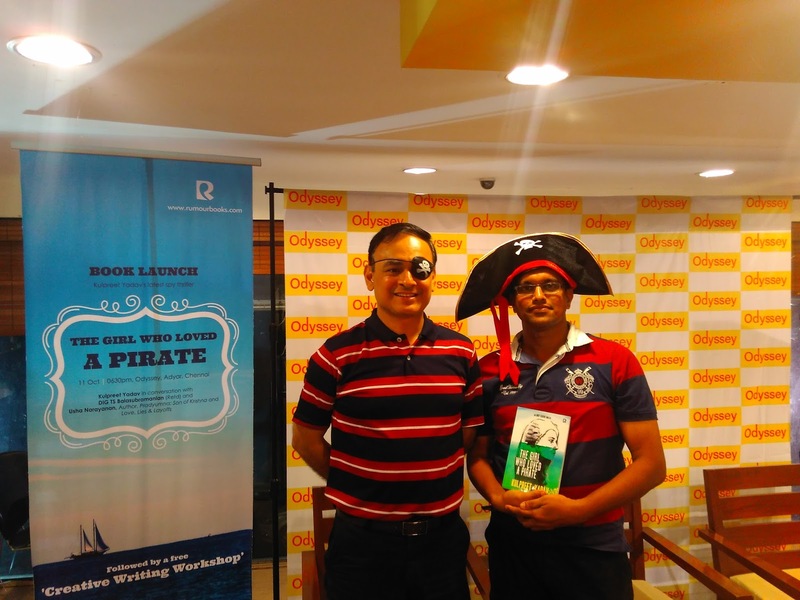 After "Catching the Departed", The Girl who Loved a Pirate is author Kulpreet Yadav's latest book. 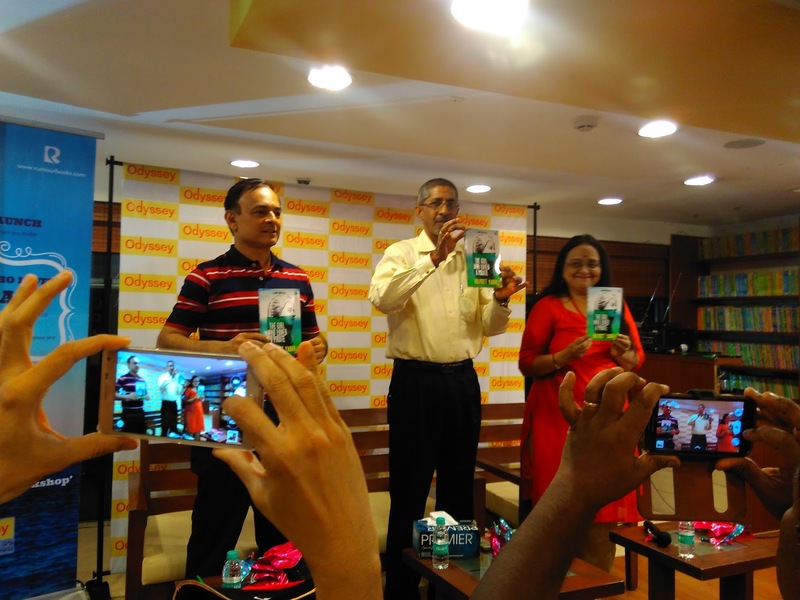 On author's invite, I went to Odyssey Adyar last Sunday to attend the book launch function. 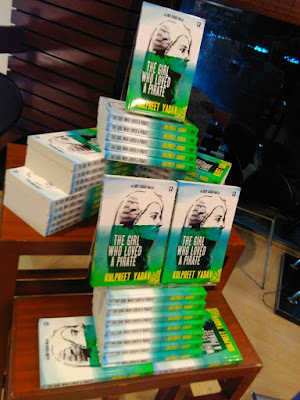 The 256 page thriller is about a pirate and Indian security forces, who are teaming up to prevent a dangerous international shipment. Plot takes us to Malacca strait in Malaysia and our own Goa. Lead character name- Andy Karan is retained from previous book. During the launch I learnt that the name represents author's brother, who serves the Indian army. I asked the author if he sees Andy Karan as India's James Bond- reply was negative. "James Bond does several fancy, impractical and illogical stuff. Andy's character is very realistic" was the reply. I asked if there are plans to make a movie out of it, reply was positive, without revealing further details. The girl who loved a pirate is a nice thriller. Helps you understand more about the drug mafia and the world of pirates. Will the gamble of hiring a pirate to catch a north Korean ship succeed? How strong is the love between the girl and the pirate? Will they unite in the end? How Andy manages to dismantle Goa's drug racket? Read the book to find out. Description of coast guard and its duties were very limited. During the launch I was led to believe book gives lots of insights into how coast guards operate to protect India's maritime interests. But plot stays focused on Andy and details about coast guard is bare minimum. Otherwise book is a great entertainer. No discount in store: I asked Odyssey staff if there is any launch discount on the book. The reply I got was "Not now, may be later". So I had to buy the book at full Rs 250. May be the management thinking is "These people know the author and are captive audience. They will anyway buy a copy with or without discount. So why give them a discount.. If sales doesn't pickup let us introduce some discount later" For people who came all the way and attended launch event, a token 10-15% discount would have been nice, but book stores don't follow that practice usually. "The Girl who loved a pirate" is available in flipkart for Rs 165 as of now (but with Rs 70 shipping, which can be saved if you are buying more stuff to qualify for free shipping). On the other hand, Amazon sells it for Rs 200 and free delivery. So in essence I had to cough up more just to get an autographed copy. Post launch there was a small workshop for wannable authors. I will try to share outcome of that in a separate post. It sounds like movie stuff for sure!